bring nonperishable items, and place them in the box in the foyer, you are helping our own neighbors who are in need. You can find out more about Good Neighbors at the following link. This delicious chocolate cake is a perfect summer treat and made without using eggs—perfect for vegans or those who don’t eat eggs. Mix ingredients in order given. Pour into ungreased square cake pan. Bake in 350° oven for 30-35 minutes. Frost or serve with ice cream! *This recipe taken from An Apple A Day Cookbook. The Happy Cow Food Store now carries Vibrant Life Vegetarian Bologna, Chicken, and Turkey Slices. These slices are a perfect replacement for your favorite discontinued Worthington Slices in subs, appetizers, wraps, and other favorite recipes. Try a taste of these new slices as appetizers at potluck July 4. 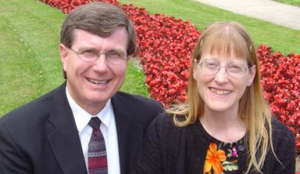 On Saturday July the 25th, Homer Trecartin and his wife Barbara will be guests at our church. He will be preaching for the 11:00 am worship service and again at 2:00 pm following a fellowship potluck meal. 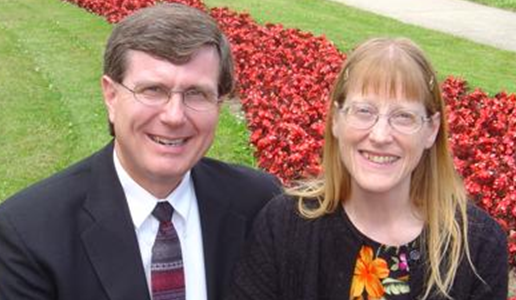 Homer is an associate secretary of the General Conference and is the Director of Adventist Volunteer Services. Many years ago Homer was a student missionary in Brazil. Since then, he and his wife, Barbara, have lived in Kenya, Zambia, Lesotho, and most recently spent several years in Cyprus where they worked for the Middle East Union. Their great longing is to see the gospel go to every man, woman, and child on earth so that Jesus can come. You will not want to miss his engaging presentations with stories of how the Gospel is being carried to the remotest parts of the world. Theme: Are there groups of people that are beyond the reach of the gospel? Has probation already closed for some? Just how much sacrifice does Jesus expect of us anyway? A new twist on a familiar parable may place you in an uncomfortable situation – until you see the promise. Theme: The Apostles Paul and John walked the streets of Turkish villages. Stories from their day and pictures and stories from today will show that God is still at work in that fascinating land. But they will also illustrate how much more we need to do.